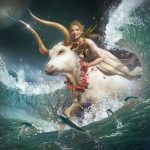 Taurus is known for being securely connected to their source of stability. But this full Moon delivers a basic, fundamental “jolt to the system” – a wake-up call, the realization that what you assumed or hoped was true and unchanging may be in flux. A source of rock solid stability and comfort you’ve counted on may be in a deteriorating phase. The rug may be pulled out from under you (or you may be the rug puller) as you find yourself somewhat shaken, standing in a new and different place, with an underlying foundation that appears to be unstable. 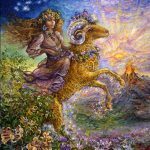 It’s a good idea to question whether your old priorities and values are still viable, realistic, or relevant given current underground rumblings and “subterranean upheaval.” Basic survival instincts and things that continue to haunt you are triggered during this “Scorpio Season.” It began yesterday and lasts through November 22nd. You are in the process of being liberatied but it may feel more frightening than freeing. But maybe not. Relationships, values, and financial status will be most directly affected. This full Moon challenges your current life direction. A choice may need to be made. “Will I stay where I am or use the energy of this Full Moon and the Scorpio Sun to move myself forward.” Taking into consideration the purpose of your life, the ever-present karmic pull in the direction of what’s familiar and comforting, the chance to make critical life-changing decisions, to take some risk, and turn your back on the past – all these influences may be coming at you at once. But it’s not like you haven’t known this moment was coming. It’s been building for awhile and intensifying over the past couple months. It will continue to unfold in typical Taurus fashion. 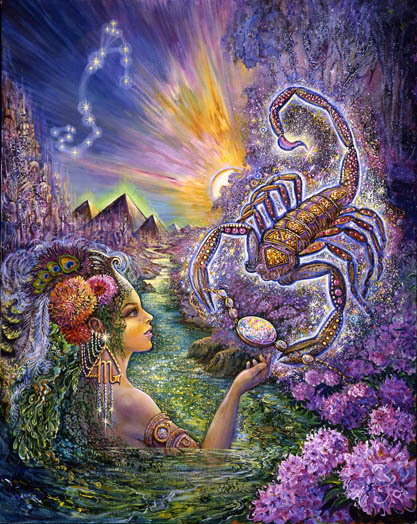 The Scorpio Sun in opposition to the Taurus full Moon takes you to a more honest place. It may have seemed more important to hang onto a source of stability even if the truth of the situation had to be denied. 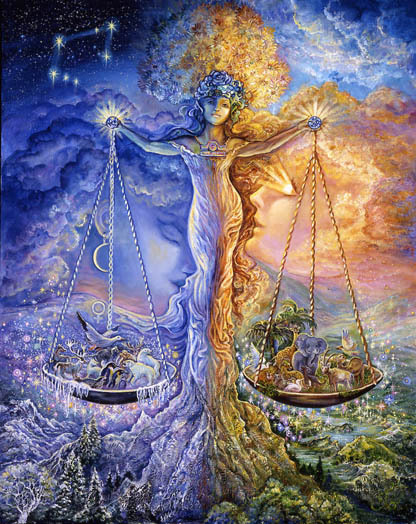 In astrological terms, under a Taurus full Moon, the importance of truth and the importance of stabilization reach a point of “equal standing.” A balanced realignment occurs. 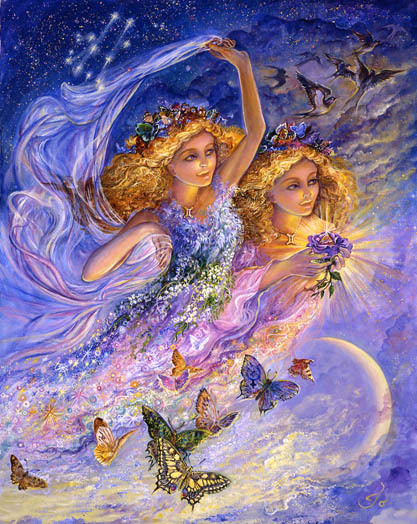 This full Moon brings the fixed Star Mirach into a highlighted and energized position. 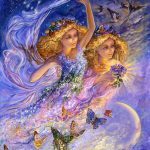 Mirach is generally considered fortunate and “of the nature of Venus.” Beauty, balance, brilliant thought, love that deepens, devotion, kindness, and “good fortune in marriage” are emphasized under this full Moon. 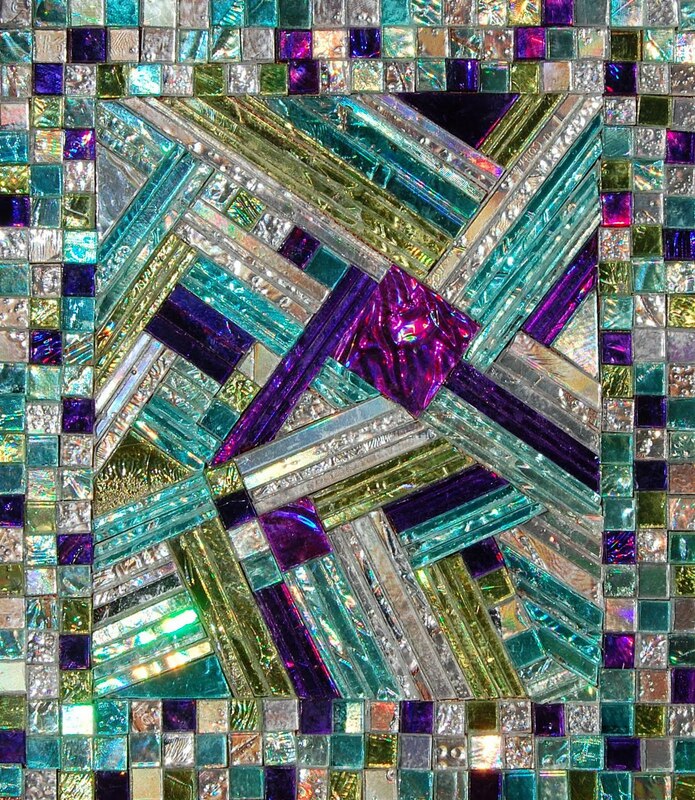 There is also a message about medium-ship, heightened intuition, and the use of “inner knowing” as a base for artistic creation and the enhancement of beauty. As fixed stars go, this is a good one. I’m not a fixed star expert but to me it seems their usual M.O. is death, destruction, and mayhem. Probably not this time. The all-important ruler of this full Moon is Venus in Scorpio – and she’s currently moving into an inferior conjunction with the Sun. This is significant. A Sun/Venus inferior conjunction portends a new beginning in contrast to the culmination/ending influence of a full Moon. Whatever’s run it’s course is enabling the birth of something fresh and new. Something has been clarified that could present complications. But what’s been murky, unspoken, denied, or avoided is now clarified. A revelation, release, or inkling of what is possible changes the nature of the game. 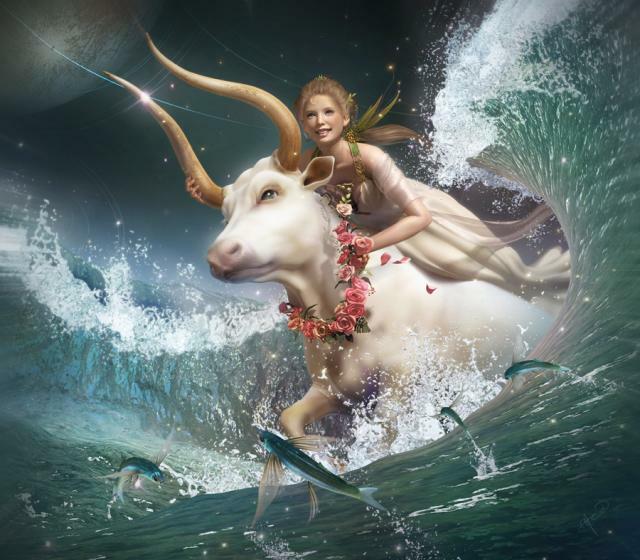 Fortunately Saturn in Capricorn trines this new Moon AND sextiles Venus. Whatever feels overwhelmingly complicated can be worked through. Saturn is the determined realist who finds a way. He facilitates a self-disciplined, hard working approach and typically refuses to be intimidated by the scope of a problem. 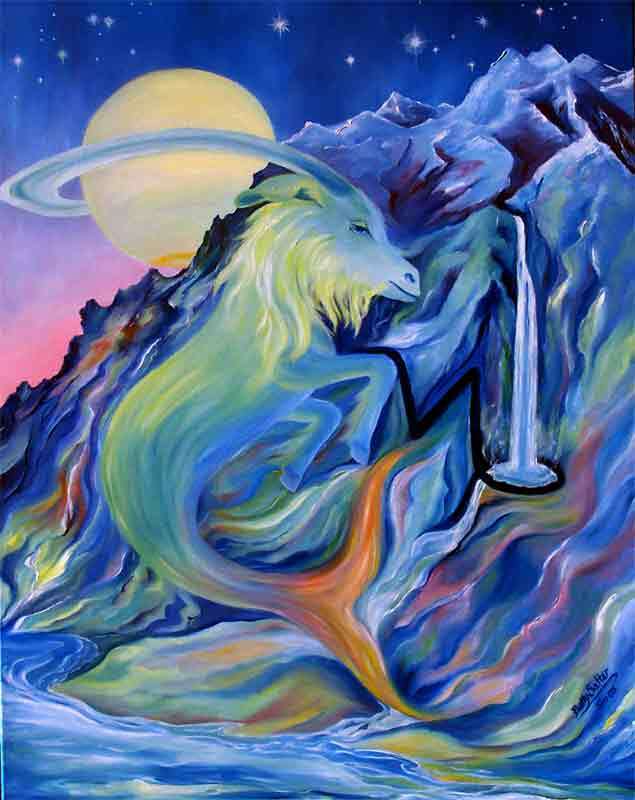 Saturn symbolizes a firm belief that hard work and a determined focus can result in major accomplishments. 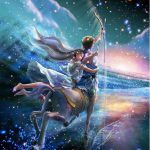 You may have to commit to doing something you don’t want to do, but the “trine/sextile” nature of Saturn’s involvement means that love may be the powerful motivator that makes it all quite doable. Saturn’s sextile to Venus triggers something profoundly creative arising from a deep, mysterious source of inner knowing. A much needed demolition is essential being done for you. You don’t have to tear things down brick by brick. An important opening is being created by this full Moon, in no small part because Uranus is involved. Lastly there is the possibility that something you’ll have to consider releasing or sacrificing won’t be much of a sacrifice. It probably wasn’t healthy to begin with – maybe something obsessive, complusive, driven by anger, poor self-esteem, or the need to prove something you never really needed to prove. Love as a motivator and the “greater cause” that serves your life’s purpose can now be fully integrated into a realistic plan for progress. I think it’s a good idea to read horoscopes for your Moon sign under a full Moon as well as for your Sun sign. Sometimes the Moon resonates more. 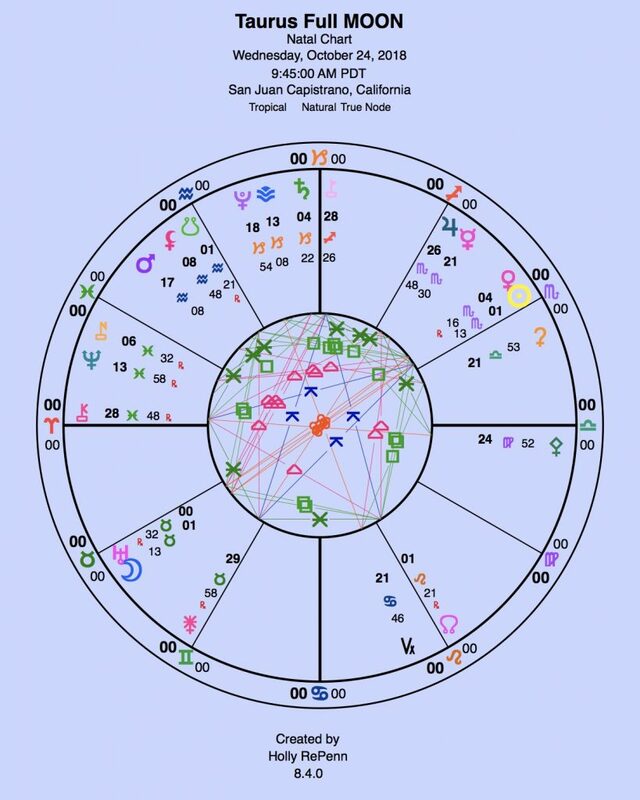 The full Moon highlights the financial, resource management, personal values, and priorities sector of your chart. 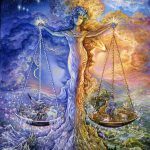 Your stability may be unsettled as the result of some kind of ending involving intimate relationships, trust, or adjustments in the balance of power. A more substantial contribution or responsibility may now be on your shoulders. It’s time to show yourself what you can do now that something has been (or soon will be) resolved. A break in the direction of freedom from the group, group-think, or inauthentic behaviors designed to prevent the possibity of rejection is indicated. Something more aligned with your real talents, what you actually love, or admire in yourself may replace what has for awhile seemed to be a safe source of stability or creative confinement. Saturn in your 10th house of your career, success, reputation, and public influence benefits from a financial rearrangement, personal liberation, ridk-taking, and a clarification of what you actually value most. 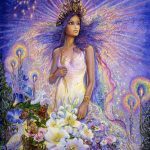 The full Moon in your 1st house of your style and approach to life and the relationship role you choose to play is being liberated or unsettled in ways that allow you to redefine yourself. The nature of relationships are automatically changed as a result. A pull away from something cold and distant allows more warmth, love, and happiness to emerge within the domestic sphere. Your ability to control your environment or to move it in the direction you want it to go may feel energizing. This may involve a decision to release something or someone unpredictable, cold, or calculating with unusual influence over your goals, life choices, and public status. A new, more independent and personal foundational strength is being formed. It aligns with your ability to feel proud of your accomplishments. Relocation or expanding your territory may be an essential part of the emerging picture. The full Moon in your 12th house brings your focus to hidden, confusing elements of your life, secrets, what needs to be eliminated, or what needs more attention. The discovery of something powerfully effective and healing may change the nature of the game for you. Access to a connection with loving but increasingly impatient guidance may be facilitated. You may have gotten the message. 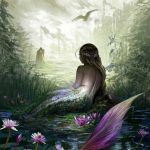 A method or technique, rooted in something old or mysterious may be very liberating for you. 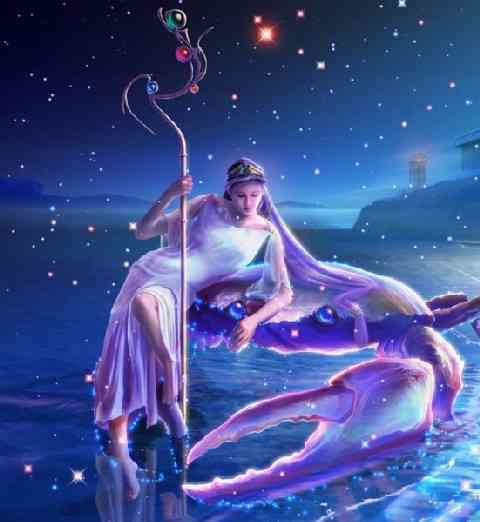 Saturn in a faciltating aspect to the Moon brings in elements of partnership, sharing, or a confrontation with something psychologically limiting that is finally mastered. The healthier you are the more powerful your healing abilities become. A new beginning gradually emerges. Something more competent takes hold. The benefits are significant and substantial and build on themselves. Highlighted under this new Moon is your social life, the friends and associates you allow to influence your dreams, how exuberantly you’re able to express your true self, the degree to which you feel supported, accepted, and stabilized by the ideas of a group, and the extent to which they bring out the best, most authentic you. Some important clarification, change, and adjustment in your social sphere may be in progress. Detaching yourself from a group, friend, cause, or social activity may be required. 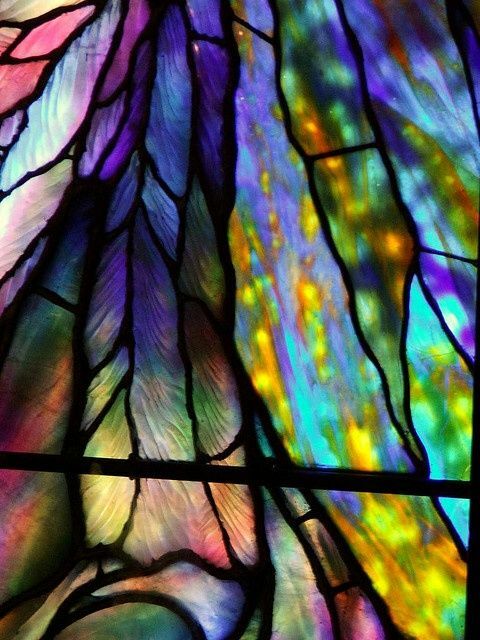 Your creative intensity needs an outlet and you may be in the process of creating one. But something needs to end for a new beginning to emerge. It’s important to recognize a slippery or hard to identify schism or indeciveness that lurks in the background to undermine you. It’s time to bring two parts of yourself together to accomplish what you need to accomplish. Your chances for success are high. 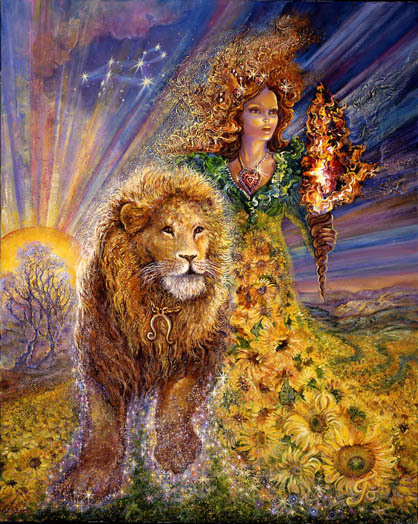 The full Moon in your 10th house of career indicates a liberation from the past, a change in life direction, status, goals, and the way you accomplish what you seem to want to accomplish. A clarification of what you truly desire may be in order. Partners may be less predictable, more detached, and less committed to supporting something they see as unhealthy or disconnected within you. They may want and need your capacity for love and intimacy to increase. It may take courage for you to be able to connect with the truth of what you value most and desire. Your current professional life or public role may be working against you. A refusal or inability to be introspective and to update yourself may be especially undermining. A break from the past is necessary. A new start is important. A clarification of your values and what you desire seems important for the viability of a partnership or commitment. 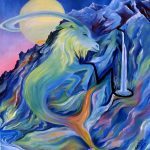 This full Moon highlights the section of your chart that deals with opportunity, the future, an element of adventure, or high stakes risk within the realm of foreign travel, higher education, legalities, or publishing. Something needs to be clarified. A decision may need to be made. Saturn in your 5th solar house indicates a serious effort or unequivocal declaration of what you love most – a “must have.” A move away from something unhealthy – work methods that are disconnected from a part of yourself you do not value enough, or have completely disowned, are undermining and disruptive to your ultimate goals. With the all-important Sun/Venus inferior conjunction in your third house of communication it may be time to acknowledge a truth, to state that truth, to have a new, updated discussion about issues that are of vital importance to relationships, but not really new. It’s time to move the conversation to the next level and to resolve what needs to be resolved. The full Moon highlights your 8th house of intimacy, passion, shared resources, deep personal transformation, and the balance of power. All of these areas seem to be moving in a fortunate direction. Something especially fortunate you didn’t expect may surprise you and change the nature of your options. Something liberating and very promising enters the picture. The Sun/Venus inferior conjunction in your 2nd house indicates the opportunity for a deep connection with your values and priorities and, as a result, a clarification of your goals, the meaning of your life, and, at a very deep level, the kind of legacy you want to leave as a result of the kind of influence you assert on a daily basis. Career options may be starkly clarified. Saturn in your 4th house continues to require that you let go of the past, find creative solutions to family issues, or make a decision about relocation. There is the possibility that you will hang onto something that will seriously undermine you. Be aware of any tendency to choose what’s always been comforting but ultimately self-defeating. 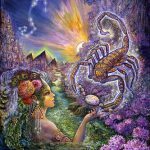 The promise of the emergence of a new beginning within the full Moon endings that are now unfolding is especially prominent and powerful for Scorpio. Relationships are highlighted. A relationship ends and very soon a new, more passionate one emerges. Leting go is key for Scorpios who prefer not to let go – of anything – at this time especially family issues and dependence. It liberates you to embrace a much more exciting, creative, public role, career, professional status, or life-long goal. Extenuating circumstances make it important for you reach a point of agreement or mutual understanding. Ongoing discussions about how to change what needs to change without throwing the situation into chaos, or undermining a level of trust that has been cultivated over a period of time, is critical. Saturn in the third house requires that you tell the truth about what you want and negotiate in total good faith. Self-esteen and self-worth may be enhanced as the result of how you navigate this process. 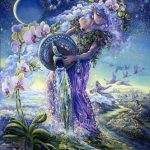 The full Moon in your 6th house of routine indicates a shake up, a clarification, a change in health habits, or the methods and rhythm of your work – and of your life. A challenge to your old way of being, uprooting what’s evolved into something too comfortable and too easy, or beneath your potential, is indicated. You may have to prove yourself to yourself after you overturn the applecart and disconnect from the past. Profound improvements may now be possible. Saturn in your second house requires that you take a realistic approach to managing money and your resources, that you have some definite figures, goals, and time lines in mind to finance the future you desire. You may not believe you can do this if your self-esteem is low. It’s time to prove yourself to yourself. Self-discipline and a refusal to rely on others when you can “do it yourself” is key. Your 12th house of hidden treasures and only partial awareness is activated. The clarification of a dream and a sense that you’re on the right track, headed in a more lovely and loving direction, is indicated. This full Moon ignites your 5th house of passionate love, of childlike playfulness, of what you value most, and what brings you the most joy. Something sweeter, more intimate, and more connected is indicated. 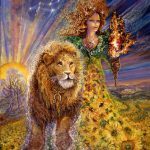 A rapid development or clarification of what is doable within the realm of 5th house possibilities may be inspiring you to end something that’s run its course and to create something new. Risk is implied. Saturn in your 1st house indicates a growing sense of confidence that despite the steep climb, you’ve got this. Saturn, as previously stated, is not disheartened by overwhelming odds or big challenges. He’s energized by those. He knows what he has to do and has the self-discipline to do it. He wants to be committed to a desired outcome. 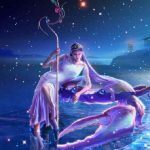 Sun/Venus in your 11th house of social connections and social support indicates something fortunate within that realm. Links to the rich and powerful or to loyal friends open doors. A recognition of your power, influence, and commitment on the part of the community becomes a valuable resource that supports your goals. 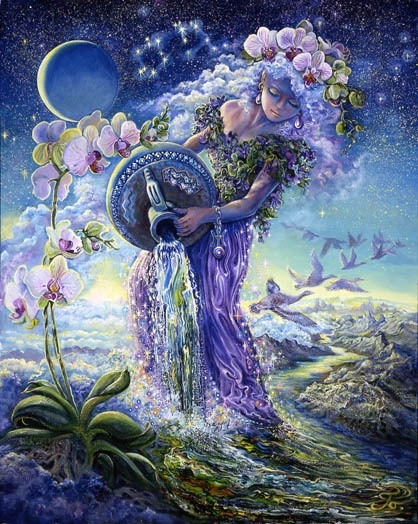 The full Moon in your 4th house shakes up your domestic scene and encourages a permanent break from the past. Family connections and relationships patterns change. Relocation is a possibility. Old foundations are permanently changed. You cannot go back to the way things were even if you wanted to – which you probably don’t. You may be applying pressure to those closest to you to adjust and to be more accommodating of the dreams you have for yourself. An new inflexibility, sense of determination, or unwillingness to compromise further, may have taken hold. A clarification results from an act of courage. An impasse may be dissolving. A return to balance through some rather extreme, undeniable, or “pulling-away” effort works in your favor – especially within the public realm. It is possible that you could experience the impetus to embrace something you love more within the professional realm, or the willingness to take a risk in pursuing an enduring interest. 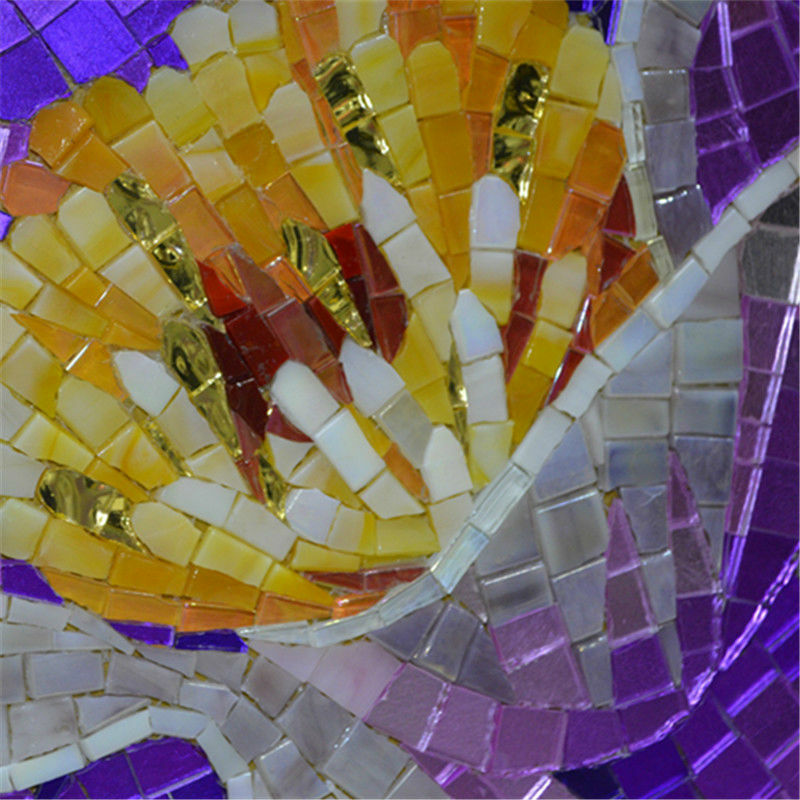 A sense of renewal, something that re-energizes your goals, and promotes success takes hold. It seems to involve a second chance or second act. 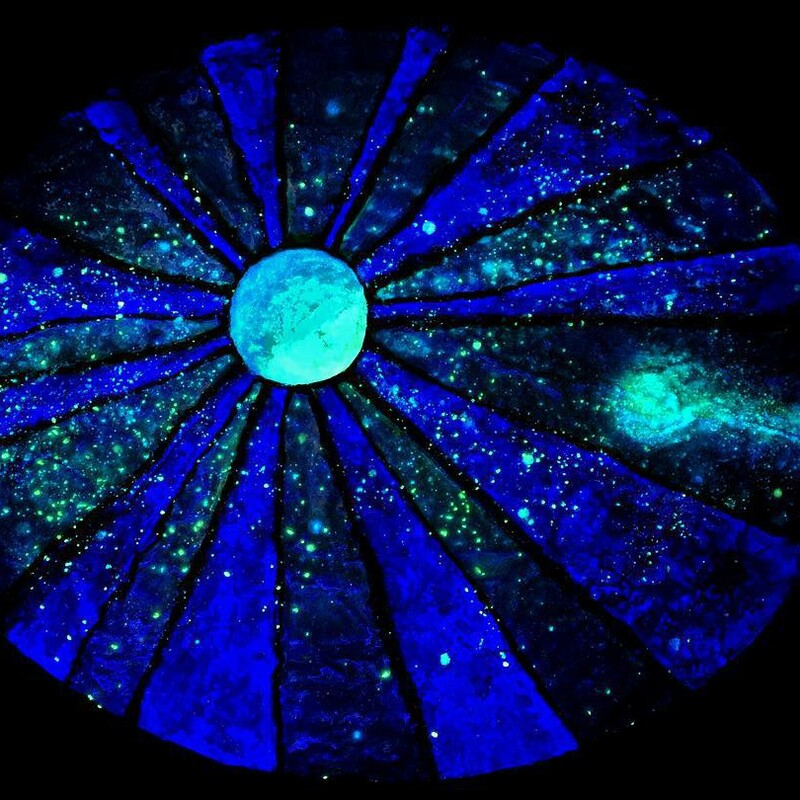 The full Moon in your second house liberates you from something confining that made it difficult for you to get your point across, to be heard, to be taken seriously, to tell the truth, to reveal your plans for the future, or to reveal the nature of your inner quest. Foreign language expertise may be an issue. But maybe your cards are now on the table. It’s time to get serious about somethng more adventurous, risky, and expansive within the realm of foreign travel, education, legalities, or the courage to publish or announce something controversial. Something deserves a second, more serious look. It’s time for something new and time may be an issue. Community or social support may be important. Creating an interesting social life, reaching out, making new friends, and connecting with mutually beneficial contacts seems important. Being more discrimminating and focused concerning the “make-up” of your social life works in your favor.